Put this one in your diary. Afternoon coffee and tea will be provided. Last Monday's meeting the budget was finally approved. The following are included in the budget. The final rate rise of 5.1% did not include an allowance for the Carbon Tax, these costs will have to be calclauted and savings identified to cover their cost as they arise. This Council should be able to know exactly what it is costing us so we can accurately predict the amount in the years to follow. Other streets will follow in the near future. Council was briefed on this project on the 25th June. I am yet to be sent the diagram or video simulation of the project and will add them if they are supplied as promised. The man given the project to deliver is Luigi Rossi. It was very clear at the meeting that affected residents will be informed, they are unlikely to be consulted and there will be very little tweaking possible. To confirm, the Noarlunga line will be seperated from the freight line and Belair line by putting the Noarlunga Line underground. The Noarlunga line will be renamed the Seaford line as soon as it opens, trains will be more frequent on this line after the new rail to Seaford is openened as well. The entry to the tunnel will begin nearer to East Ave and will be underground by the time it is level with SSASME Park; it will not emerge completely until after Victoria St. This leaves the tunnel and Brownhill Creek on a collosion course; Brownhill Creek will be diverted by Culvert from about the end of Cranbrook Ave (this will be a very large culvert as the capaciy of Brownhill Creek at that spot is enormous). Water will also be diverted from Arundel Ave, under the existing trainline and accross the lawns at the Millswood sporting complex. The building of these will be very disruptive at least. If Councils pursue a No Dam option for flood mitigation these culverts will need to have twice the existing planned capacity. However, he did say that neither of the local members of parliament ( Kate and Stephanie) had seen the plans he was showing us. I have had several enquiries about reporting street lights that are not functioning correctly. They may be not working, have become dull over time, or be turning on too early in the evening or staying on too late in the morning. If you wish to report a fault then the above website allows you to select the actual light that is faulty and report this directly to ETSA. If, however, the light is obscured by vegetation then the Council can trim the trees; if you believe there is a dark spot that needs extra illumination then this too is a matter for Council. , Black Forest and a call for the sale of an Housing SA property in Parkside. The latter is not a matter for Local Government, the other two certainly are. 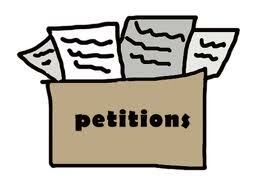 But what value does a petition have? (I will write a separate blog on this). : the recommendation ratifies is for immediate installation. While I support the residents in wanting this treatment I'm quite sure that many people will be surprised (they probably don't read this blog) and will complain loudly. Appointment of Development Assessment Panel Members from Dec 2012; This report called for the selection of Councillors for the next DAP, this would then allow time for these people to be part of the selection panel for Independent Members; these positions will then be advertised in July for application by interested candidates. This was quite was poorly written and showed little understanding of the issues that must be considered in selecting this Panel. For example even though the Panel should have as far as possible equal representation from both men and women (which for Unley has mostly meant only one woman) the report suggested that the three current members (all male) be re-elected. Also that this same all male group be the panel to select the new DAP. The report was deferred and no decisions made. This was not a good start for one of our new General Managers! Tobacco Products Regulation Amendment Bill 2012; Council will uphold the automatic bans provided within the legislation. This means that it will be illegal to smoke within 10 metres of a children's play ground. This also means in playgrounds like Dora Guild and Princess Margaret the entire area will be non-smoking and at the Goodwood Oval the bans, at this time, only be near the playground area. The expiation fee for this is set at $75. Aboriginal and Torres Strait Islander War Memorial; Council agreed to donate $1,789 toward a Aboriginal and Torres Straight Islander War Memorial in the Torrens Parade Ground. This is a worthwhile cause that should be supported. 2012-13 Annual business Plan and Budget Adoption; The rate rise was approved at $5.1% with no allowance for the Carbon Tax, when prices rise they will need to be identified and funded through budget reviews during the year. I will write a separate blog next week to say exactly what is in the budget for Goodwood South that is additional to recurrent spending. A property valued at $500,000 in 2011-12, will now have a property value of $484,000; the rate increase will be $57. Stormwater Project Update; I was pretty surprised to read Mitcham's take on the Stormwater plan in their spread in the recent Eastern Courier. I personally don't believe that abandoning the dam at this point in time is in the best interest of many Unley residents, while the most recent report for alternate solutions is still confidential to Unley people it can be found on the Mitcham Council website. However, this does mean the Unley can proceed with the Ridge Park and Heywood Park Aquifer Recharge projects early next year. Centennial Park Cemetery Authority; Draft operating budget. This matter is confidential. CEO Performance Review Committee (Saies); This was an attempt to stop Council from using a consultant to help with this process, and thought to be too constrictive to be successful. I asked a series of questions about the status of the Sturt Football Club following the recent press coverage to ascertain what information published was true and what was incorrect. These have been answered comprehensively and make interesting reading, they also allow all Councillors to have the same information at the same time rather than endless innuendo and some having privy to information that others do not. The petitions in this month's Council Agenda has set me thinking again at the value that Council should place in a petition when making decisions. I believe they are an excellent forum to bring to Council's attention an issue that the petitioners believe is one that Council is unaware of or unaware of the depth of feeling that a group of people have about a particular issue. 35 Young St, Parkside; the petitioners are asking for the property to be sold by the owners as they regularly select what the petitioners believe to be unsatisfactory tenants.These people are genuinely fearful of their personal safety and amenity and yet Council can do little more than redirect the petition to those who can change the way in which the house is manage. The petition has nine signatures. Fraser Reserve; this petition calls for perimeter fencing and better lighting at the reserve to make the area safer for dog exercise. This is a concern that has not been raised with Council before and Council should respond by investigating the issue and then budgeting to implement any changes deemed necessary. Third Ave, Forestville; these petitioners are calling for their footpath to be paved as they believe the current state of their footpath is intolerable. I have enormous sympathy for their position. However, at the current time the footpath is scheduled to be repaved in 2015/16. The 53 signatures are all from local residents. They highlight the principle reason why they believe their footpath is constantly overlooked and that is that Council assess the state of the footpath and then multiply this by a factor that staff believe represents the volume of foot traffic. This is the factor they often get wrong. Now consider the value of a petition if one arrives wanting the soon to be installed speed pillows in Leah St to be removed? If the petitioners were residents of Leah St I would have no hesitancy in accepting the validity of the petition, if they live nearby and still in Unley their signatures would still have validity but would need to be weighed up against the Leah St residents views ( and they probably were not asked to sign the petition and if they were refused to). What then if the petition came from signatories south of Cross Rd? Most of you would agree that these people could have chosen an alternate route and as such the petition would have little validity. Then there are all the grey areas between these scenarios. Yesterday, I attended the meeting held in the Dora Guild playground at 11.30 am. The small crowd were keen to discuss with her issues; not surprisingly, they were concerning the Federal level of government. Steph Key, the state member for Ashford was also in attendance as was Don Palmer my Co-councillor. 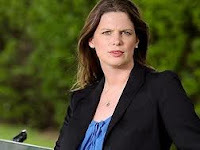 The issues raised include the grade separation of the railway at Millswood and the Leader St under/over pass, the carbon tax, the Gonski report into schools, asylum seekers and refugees and the problems of minority government. Kate is very good at explaining the issues in greater detail but a little short of solutions. She said she had little knowledge of the railway separation and did acknowledge that no one had considered the storm water management (culverts) plan needing to share some of the same space. We should be grateful that $400 plus million will be spent and not ask why the over/underpass would be more useful at Cross Rd. Spending this money will also certainly end any further discussion on freight train diversion which is the preferred wish of this electorate. The only issues concerning local government were regarding speed and safety on Aroha Tce and rate rises. I will write a separate blog on rates. Urban Myth Theatre of Youth; Urban Myth have outgrown their home in Unley on the Village Green and are moving to the Mayfair Theatre on Goodwood Rd. This is a wonderful outcome for both sides as the theatre will continue to be able to operate as such and Urban Myth have a more suitable base. This has caused no additional cost to Council. We currently sponsor them to the tune of $5,000 and this report asked that we continue to do this. For our money we are helping to support youth and we will get free performances at some community events. Environmental Health Services-Shared Services; Council was to explore the benefits of joining the Eastern Health Alliance. This has been completed but after discussion with Mitcham Council we will share services with them instead- the cost benefit of this is much better and as such preferable. Review of Fees and Charges; Most fees will rise by 3.6% although some have remained stationary. For example non-smoking cafes will see no increase in their outdoor dining fee, children's programmes at the library will remain at $5 and toy library membership will not change. Some of the fees are set by the government and we have no power to change these, eg dog registrations. Residential Parking Permits and Exemptions; The consultation is complete and now Council will raise the fees to $26 for 2 years. There are very few of these in Goodwoos South. Building Inspection Review Policy; This one has been imposed by legislative change as a response to the fatal roof collapse at West Lakes. Inspections of roof trusses will need to be made to 90% of buildings where the construction involves roof trusses and a licensed builder is not responsible for the work and 60% if there is a licensed builder involved. Interestingly the inspections don't have to be of the roof trusses per se. Waste and Recycling Audit; The recent audit of residential and commercial waste delivered the following results. On any one collection day 88% of household present a blue bin, 90.5% a recycling bin and 72.5% a green organics bin. Households are diverting 61.9% of their waste from landfill. The contamination rate was also much less. Much of the waste was food scraps (57%) and the paper used to wrap these. Considering that these can be placed in the compost bin or through the kitchen organics collection service this final result is disappointing. The cost to empty each bin is about 40 cents; over 18,000 households with two bins emptied each week the potential savings can be seen if we can renew our contracts based on bin lifts rather than household numbers. Planning Policy Programme Update; All the current DPA's that are sitting on the Ministers desk have stayed there, they might be further up in the heap but I have my doubts about even this. After the most recent consultation about the installation of these, it has been recommended to the Road Safety Committee that these should be installed as soon as possible. There were 80 surveys posted of which 28 were returned with 21 being in favour and 5 not in favour. The committee will discuss this on Wednesday 13th June which will be ratified at the Council meeting on 25th June if it is supported. Council recently sent a survey to residents in Addison Rd regarding the 2 hour parking controls (between South Rd and Gordon Rd) suggesting that these could now be replaced with unrestricted parking. 58 surveys were posted, of these 18 were returned; 16 of which supported the change and 2 who did not. Following this support of the proposal the 2 hour zone will be removed at the earliest opportunity. This is a also a friendly reminder that if Council asks for your opinion on something you should decide what you think and fill out and return the survey within the time frame allowed. It is often too late to complain afterwards. - Greening: About environmental renewal, creative open spaces, Unley’s parks and gardens, water and energy conservation, and how Council can plan for these things. Brochures will provide details of how to add new ideas to the mix by going online to Council’s website www.unley.sa.gov.au/acommunityofpossibilities and completing a survey form. Now is the time to have your say, get involved and see if you can help shape Unley's future. This photo from the Reconciliation ceremony on June 1st I found to be very powerful and striking. The student was very pleased to be involved and asked a lot of questions of the Mayor. As you are aware the State Govt legislation came into effect on June 1st. The law now states that it is illegal to smoke within 10m of a children's playground and at a covered bus stop. This means that Council must now choose if it wants all of particular parks to be non-smoking or only the area immediately adjacent to the playground itself. Where the playground forms the greater part of the park this is probably an easy decision, eg Princess Margaret Playground and Dora Guild Playground. However, when the playground is only part of a larger park the decision will be more difficult, eg should all of Goodwood Oval be declared smoke free? Other places like Sasmee park should be non-smoking and yet the decision for Page Park and the Millswood Lawns Complex will be more challenging. Council can also declare major events smoke free if it chooses, this could include the Gourmet Gala, Sturt Football games, Australia Day celebrations, etc. I'd love some feedback on this one as to your opinion as to how far Council should go? East Ave Pedestrian Refuge; This is now being considered near Forest Ave, further consultation is likely to follow. Addison Rd; Some residents have requested staff to review the existing parking controls between South RD and Gordon Rd. The consultation on this finished yesterday. Usually decisions are recommended if more than 50% of respondents supported the change. Millswood Croquet; the hosting of the World Croquet Tournament was well received and the grounds drew a good deal of praise from participants. Non-Smoking Cafes; 3 cafes have now taken up the option to be non-smoking which is a small step forward . Merlon Ave; staff have decided to delay replacing the recently removed trees until after the footpaths have been repaved. The footpaths should be the first ones completed in the new year. The replacement species chosen by residents is Jacaranda. U-Turn Mills St and Goodwood Rd; While I have had no complaints about the new design recently installed my own observation is that it may not be doing the job and may actually allow U-turns to be performed more easily. New General Managers; After a lengthy selection process David Litchfield has started as Manager of Economic Development and Planning and Stephen Faulkner as Manager of People and Governance. You may have read 2 further advertisements in Saturday's paper. One is the position previously held by Michelle Bonnici , Manager of Infrastructure and the other for Manager of Community, this has already been advertised but it was decided to re advertise. Budget; budget deliberations are continuing with the final workshop on the 13th June and ratification on June 25th, Goodwood South is fairing a little better that it was. The footpath acceleration has been included, that is $1.3 million (last year was $500,000). Frederick St; Several issues still exist in this street that Don and I are working through. These include the poor condition of the pavers. These are not due to be redone until after the entire replacement schedule has been completed. However, the footpath will be inspected and the pavers lifted and relaid where possible. Also Council has asked ETSA to replace some of the light bulbs in the street lighting and some pruning has been completed to make the street feel safer at night. Lastly staff are investigating the speed controls in the vicinity of the Scout Hall, a proposed solution is to paint zig zag lines on the roadway to indicate that children may be present.